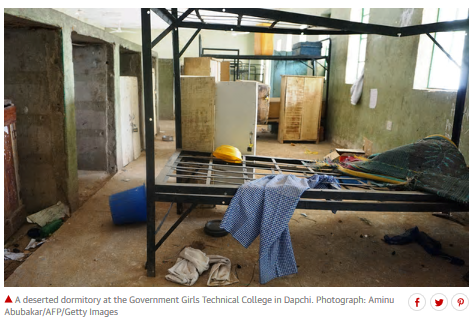 Tag Archive | "Boko Haram"
On the night of February 19, 2018, armed members of Boko Haram stormed the grounds of Dapchi Government Girls Science and Technology College, a school of 900, in Yobe state, northeast Nigeria. The armed intruders surrounded the school and began to fire their weapons causing girls to run in all directions. While shooting rang out from all over, a number of vehicles, painted in military colors, began to enter the college campus and men in military uniforms attempted to persuade girls to get in their vehicles. An eyewitness remembered the men shouting: “Stop, stop! We are not Boko Haram! We are soldiers, get into our vehicles. We will save you.” This was the latest attack by Boko Haram, a militant group who abducted 276 schoolgirls from Chibok in 2014. The next day, February 20, 2018, parents went to the school in efforts to find survivors of the attack as well as account for the missing. 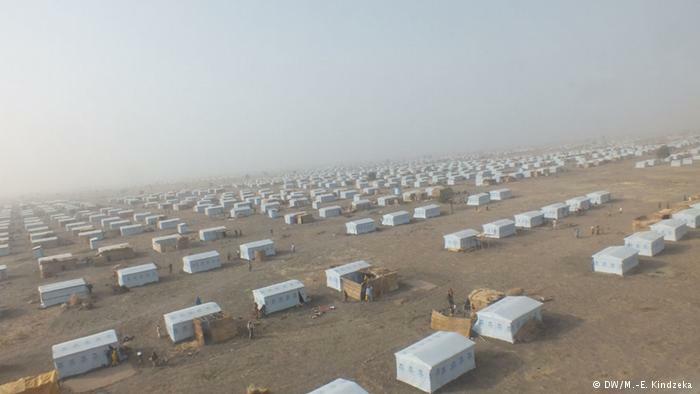 While majority of the girls were found and are safe, 110 girls have been displaced from their families. 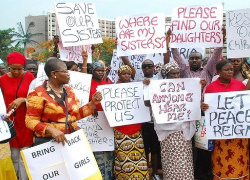 Now, the families of those 110 girls must wait and hope that their 070-464 missing daughters will be returned safely. Since this attack, the Nigerian President Muhammadu Buhari has increased military presence around schools and deployed aircrafts to help in an aerial search for the missing girls. However, these attacks have caused some parents to reconsider enrolling their children in government colleges. Kachallah Bukur, a parent of one of the girls missing, stated “[i]f there had been enough security, this will not be happened” and that he will find his other daughters new schools with proper security to attend. Dapchi is a predominantly Muslim town. Alhaji Kachalla Yoroma, the emir in the village of Dapchi, condemned the actions of Boko Haram, whose name translates to “education forbidden”, by stating: “Islam means peace. We are living for 070-243 peace. Abducting children and killing innocent people and burning houses – this is haram. 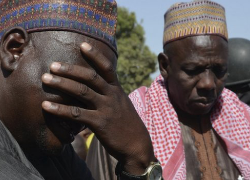 What they do is haram.” Though the Nigerian government has claimed that Boko Haram is technically defeated, experts say the group is working to professionalize its kidnapping operation. 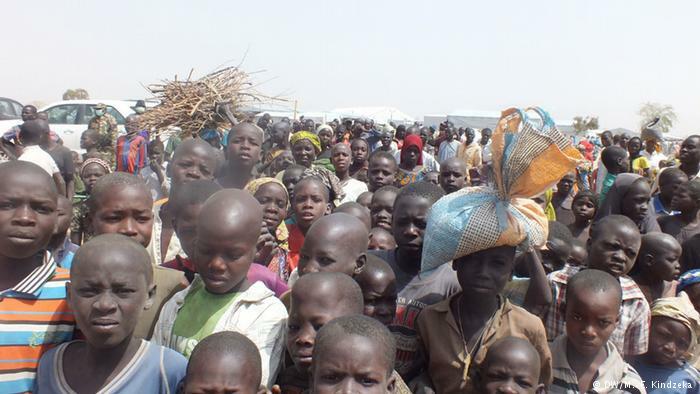 Over the years, Boko Haram has displaced almost 2 million people, killed more than 20,000 people, and abducted thousands of boys, girls, men, and women. Thus, if Boko Haram is truly working to professionalize its kidnapping operation, the world must do more and help Nigeria extinguish this threat to its community. Quiwana N. Chaney is a 3L at the University of Denver – Sturm College of Law. She currently serves as the Editor-in-Chief of Denver Journal of International Law and Policy and Online Editor of Denver Law Review.